The LRSM is deeply committed to exchange, cooperation, and partnership with “materials” organizations outside of Penn, especially from Industry, National Labs, and Academe. The MRSEC partners with these disparate groups to enrich the materials community. MRSEC faculty members partner via grass-roots interactions that span from topical symposia to exchange of samples for study & characterization and lead to joint publications. Faculty solicit sponsored research agreements with industry that sometimes give rise to joint patents and to start-up companies. MRSEC projects and faculty feature substantial interactions with industry. In general an effort is made for all IRGs to have important science collaborators from industry. Furthermore the MRSEC Shared Equipment Facilities (SEFs) are widely used by local industries, with ~100 person-days of visits per year (see below Propose a Project/Collaboration section below if you would like to get involved). The MRSEC’s multi-faceted strategy to reach out to industry is supported and coordinated by Penn’s Center for Innovation (PCI). Depending on effort, companies are characterized as LRSM affiliates (gifts), alliances (sponsored research agreements), or partners (joint IP, start-ups). This arrangement has proven to be an effective way to ensure knowledge transfer and lead to sponsored research. In total, more than 50 companies (small, medium & large) have direct financial involvement with the Penn MRSEC and many more interact with LRSM faculty through other venues. 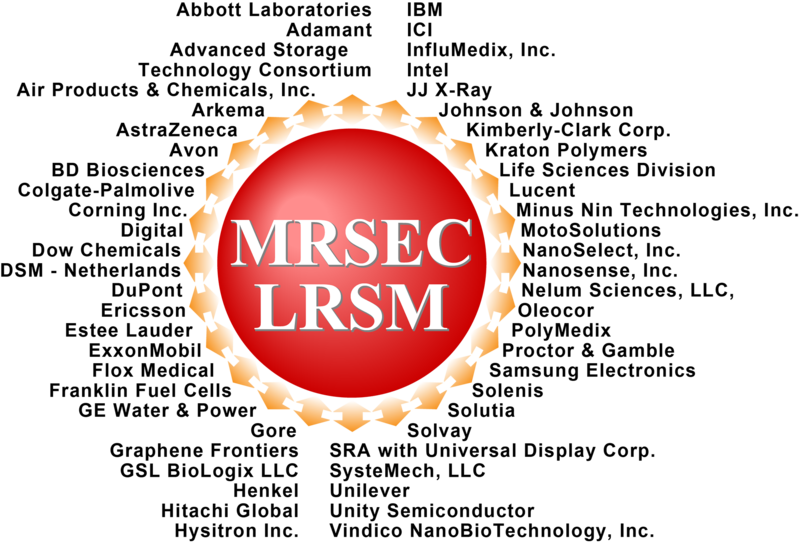 The MRSEC sponsors several types of events to continue to attract visitors from industrial, national, and academic labs, to link the LRSM to the region. Of note are the annual Maddin and Burstein lectures, and IRG topical workshops & symposia (e.g., Mid-Atlantic (MASM) & Penn-NYU Soft Matter Workshops, Structural Tools@LRSM). The opportunities for leveraging MRSEC for the benefit of society are increased by several other local institutions. The first such institution is the Nanotechnology Institute (NTI), which maintains the overarching mission of focusing on the transfer of discoveries and intellectual knowledge from universities to industry partners; the NTI is seeded with a technology grant whose cumulative value is $16.3 million from the Commonwealth of Pennsylvania’s Ben Franklin Technology Development Authority. By providing funding, intellectual property, and commercialization assistance, the NTI expedites the rate at which revolutionary technologies are brought to market, changing our world and fueling our economy. 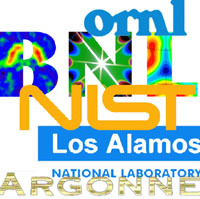 Presently, NTI and LRSM leaders are working together to identify and support pockets of MRSEC materials research with potential commercial impact. For example; a recent workshop highlighted Penn facilities and expertise in nanofabrication and nanoscale characterization that are available to external users. Very recently, the Energy Commercialization Institute (ECI), was launched with $1.2 million from the Commonwealth of Pennsylvania. It represents the region’s first multi-institutional partnership to accelerate alternative and clean energy technology development and commercialization through translational research and sponsored research funding.